Response Booklets are full length used for administrations when computer scoring is used 25/pkg. 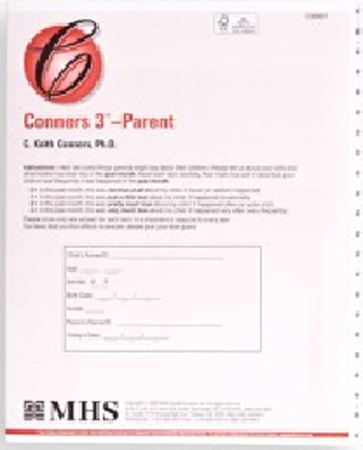 Dr. C. Keith Conners has had an extraordinary and diverse career as an academic, clinician, researcher, lecturer, author, editor-in-chief, and administrator. His dedication to the study of ADHD and other childhood problems propelled him to the forefront of his field. His intense interest has led him to write several books, journal articles, and book chapters based on his research on ADHD and childhood disorders. He is highly recognized in the field of psychology for his numerous contributions.